You are here: Home / Features / Do You Know The Importance Of Iodine And Your Thyroid? Do You Know The Importance Of Iodine And Your Thyroid? The thyroid is a butterfly shaped gland located in the neck that produces hormones which regulate bodily functions linked to metabolism, energy, and growth . This important gland affects your health from head to toe, including the way your lungs, heart, nervous system, muscles, and more function. When it is imbalanced – either overactive (called hyperthyroidism) or not active enough (called hypothyroidism) – it can cause serious symptoms that threaten your health and wellbeing. 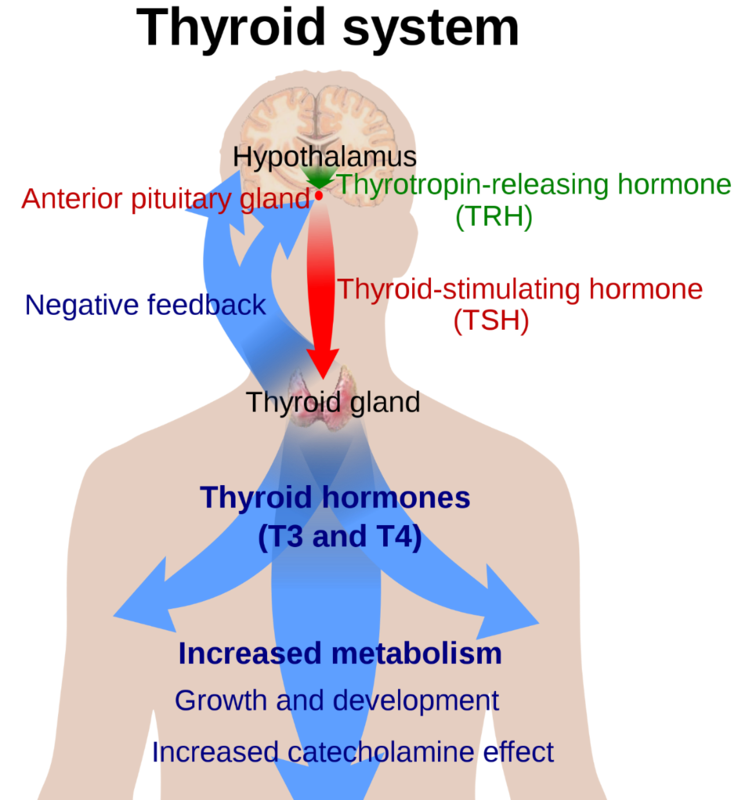 Iodine is a key mineral in regulating thyroid function because the gland uses this element when it makes the hormones T4 (thyroxine) and T3 (triiodothyronine). Since the body does not make this trace element on its own , it has to come from our diet. You have probably heard of “iodized salt” which is a common way that people who live in developed countries get it into their diets, but it is often not enough. Plus, loading your diet up with salt is not exactly a healthy solution! Insufficient levels of this important trace element are linked to several health issues, including hypothyroidism (low function), goiter (severe thyroiditis or swelling/enlargement of the gland), and related pregnancy complications including miscarriages, premature delivery, and birth defects . While it is rare for people in the developed world to have an iodine deficiency directly caused by these issues, supplementing can help manage the condition and relieve symptoms for anyone. On top of all of the benefits of regulating the small but powerful butterrfly-shaped gland, it is crucial for healthy brain development and even helping the body protect and detoxify itself from the harmful effects of radiation. Low or insufficient levels of of the mineral have even been linked to an increased risk of breast cancer. You can take an iodine supplement on its own, or take a high potency bioavailable or medical grade multivitamin that includes the recommended daily value of the mineral. Carefully select your supplements to ensure that there is a sufficient amount of the active ingredient to give you the desired benefits. As with any medical treatment – supplements included – always carefully monitor your progress. Using an app like the mySymptoms app is a great way to keep tabs on how you’re feeling day-to-day and over time. It can be scary to face the many severe, and often mysterious, symptoms that come along with being hypothyroid or hyperthyroid. With the proper management and targeted supplements, it is possible to overcome these conditions and their related symptoms and health risks and live a happy, healthy life! What Makes Garlic So Good For Your Health?